As we all know, electricity is generally measured in terms of voltage as well as amperage. One tends to think that these values are very stable but the truth is that the stated voltage generated by the local power company and arriving at your home or business is generally within 6 volts (plus or minus) of 110 volts. This means at any given moment the electricity arriving could be as low as 104 volts or as high as 116 volts. These dips and peaks in voltage are generally taken into account when electrical devices are designed and these small discrepancies in voltage cause no harm. However, there are instances when electrical currents could exceed or fail to meet the range built into consumer devices; these instances are usually referred to as spikes or brown outs. During those instances there is a possibility that the devices plugged into the electrical grid could either shut down, perform incorrectly or experience permanent component damage. Some devices are much more sensitive to voltage fluctuations than others. For example personal computers, servers as well as LCD televisions are extremely sensitive to voltage fluctuations. On the other hand irons and coffee makers are examples of devices that generally don't suffer damage as a result of these voltage fluctuations. In the United States voltage fluctuations are rare, but they do happen and when they do, damage to sensitive electrical components is very likely. Overseas, voltage fluctuations are much more common and if you happen to be using a simple voltage converter both the converter and electronic device could be permanently damaged. At the very least a device could shut down at the worst possible moment, generating data losses, data disconnections or signal losses. Lastly, one other source of very unstable voltage are gas powered generators. Connecting home appliances to gas powered generator during a blackout can result in damaged appliances. There is of course a solution and it is called the voltage regulator. Essentially a voltage regulator is a box with an electrical input side (connected to the source of electricity) and an output side (plugs where you plug in your devices) and utilizes a reference voltage value to make sure the voltage going to your expensive electronic devices is within an acceptable range. These units basically "store" electricity within capacitors so that they can control the voltage being fed to the connected devices. Voltage regulators are particularly useful overseas, in countries where the voltage fluctuations are large and frequent. As such, most voltage regulators also have built in step up / step down voltage converters, which takes care of the voltage conversion from 220 volts to 110 volts or vice-versa. One last very useful byproduct of using a voltage regulator is that your electricity is also "filtered" from electrical noise, which can be an issue for any audio, video or computing device. 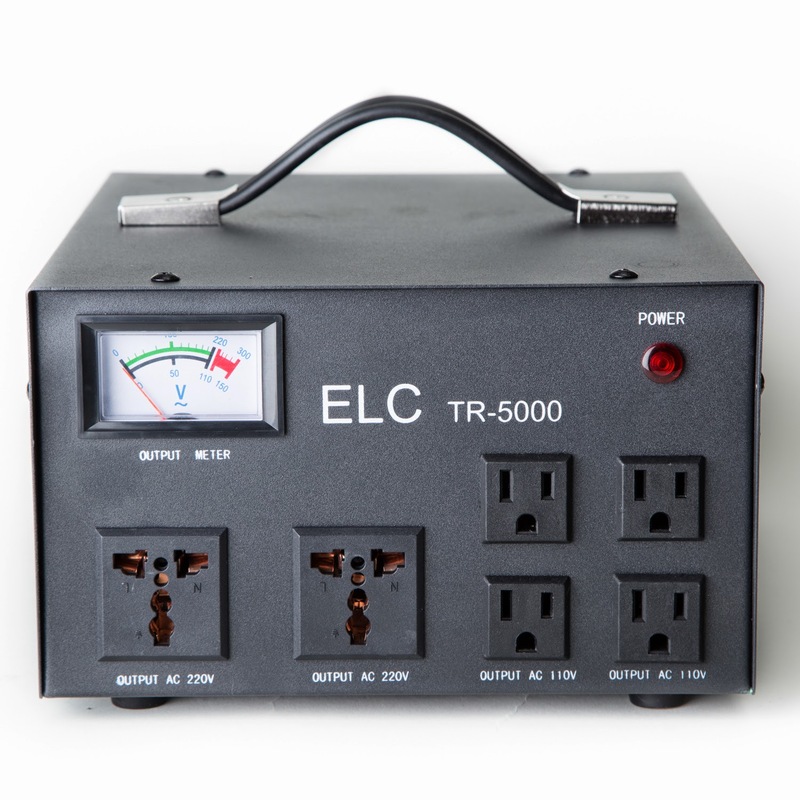 If you are travelling overseas or if you have frequent voltage spikes and dips in the U.S. and it is affecting the performance or durability of your electronic devices, then a voltage regulator is clearly what you need. Simply contact us at Bombay Electronics and we'll be happy to help you find the perfect voltage regulator for your specific needs.